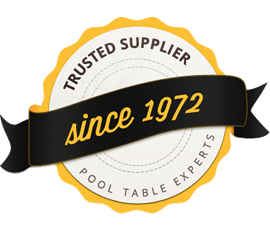 We are recognised as an industry leader in maintaining pool tables. As well offering a nationwide slate and cushions recover service we have vast experience in repairing many different makes of tables. Coin operated or freeplay versions of DPT, Heywood Pool and Snooker Supreme, SAM Leisure, Gatley Leisure, HGM Superleague are amongst many that we have repaired, refurbished or recovered over the last 5 decades. We constantly repair the rubber pocket liners that stand at the back of the pocket and take a lot of high impact hits from pocketed balls. Rubber perishes with age, pocket liners are usually made from rubber or hard moulded plastic. Balls constantly dropping onto gully boots inevitably cause hairline cracks and need to be replaced promptly to reduce damage to pool balls. Our service includes the repair of old coin mechanisms or replacement with new multi coin mechanisms. New mechanisms will last longer due to their capability to change price of play options in the future. Instead of lying flat, today’s mechanisms have the coins upright and they will fit most apertures for a relatively easy conversion or repair. Depending on the make and age of the table, we can repair many older tables with new panels or on site repairs. Many older laminates are not available; however, we can generally repair the damage as most tables do give many decades of usage. Depending on the make and age of the table, we can repair many older tables with new panels or on site repairs. Many older laminates are not available; however, we can generally repair the damage as most tables do give many decades of usage.Chrome, brown and black feet are still available; depending on thread size and make of table these are a quick repair or replacement. Pool table legs are either wood or plastic and can usually be repaired or replaced. Repairs and recovers can be completed on site with the minimum of fuss. Commercial or home, local or nationwide, we are recognised as an industry leader in keeping pool tables in top condition.